Komoditi Minyak melemah setelah pada perdagangan kemarin mengalami reli terbesar dalam 4 bulan terakhir. Harga Emas hitam ini terkoreksi karena investor berspekulasi para pemimpin Eropa akan terpecah pendapat dalam rencana meredam krisis utang. Harga minyak tergelincir setelah Financial Times melaporkan beberapa negara di kawasan Euro menuntut kreditor swasta menyerap kerugian yang lebih besar dalam kepemilikan di obligasi Yunani. Sentimen tersebut dikhawatirkan mengancam perlambatan ekonomi dan permintaan bahan bakar. Data tahunan BP Plc menunjukkan kontribusi Uni Eropa dalam permintaan minyak global mencapai 20% di tahun lalu. Selain itu, koreksi harga minyak juga terjadi setelah American Petroleum Institute melaporkan stok bensin AS meningkat 4,6 juta barel per pekan lalu. Ini level tertinggi dalam lima minggu. Stok minyak mentah juga dilaporkan naik 568.000 barel. 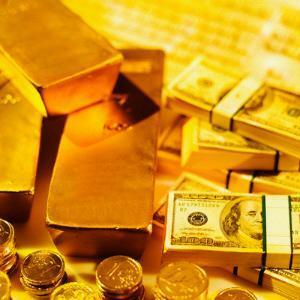 Komoditi Emas mengalami rebound ditengah pelemahan dollar AS terhadap mata uang utama dunia lainnya dan membaiknya minat investor pada aset beresiko. Penguatan Emas dibarengi kenaikan bursa saham Amerika sebesar 1% dan juga penguatan Euro terhadap dollar AS yang ditunjang oleh optimisme bahwa petinggi Uni Eropa akan meningkatkan dana talangan guna menangani krisis hutang. Sementara itu permintaan Emas secara fisik dari kawasan Asia dilaporkan mengalami lonjakan sangat tinggi diantaranya di Hongkong dan Singapura yang mencapai level tertinggi sejak Februari didominasi permintaan dari ritel dan konsumen pelaku industri. Permintaan dari India sebagai salah satu konsumen terbesar Emas dunia juga terus meningkat menyambut musim pembelian emas secara tradisional untuk menghadapi festival‐festival tahunan. Mata uang tunggal Eropa Euro mengalami pelemahan terhadap dolar AS, Euro bergerak retreat terhadap rivalnya ini didorong oleh kekhawatiran bahwa langkah-langkah yang diambil para petinggi Eropa untuk mengatasi krisis akan kurang memberikan hasil yang diharapkan. Kekhawatiran bahwa krisis keuangan Eropa akan mengakibatkan melambatnya ekonomi mengakibatkan tekanan jual yang lumayan besar terhadap mata uang tunggal di Eropa. Para pelaku pasar terpecah setelah beberapa petinggi Eropa menyatakan keenganan untuk meningkatkan pemberian bantuan bagi negara-negara bermasalah. Di perkirakan Euro pada perdagangan hari ini berpotensi mengalami penurunan lanjutan. Bursa saham Hongkong pada perdagangan di hari Rabu pagi mengalami pelemahan yang cukup signifikan, bursa saham Hongkong mengabaikan kenaikan yang terjadi di bursa saham Wall Street menyusul kembalinya harapan mengenai penyelesaian krisis Eropa. Sentimen negatif kelihatan cukup kental di bursa saham Hongkong pagi ini disebabkan oleh melemahnya saham-saham di sektor properti. Di perkirakan Indeks Berjangka Hangseng hari ini berpotensi mengalami pelemahan tapi terbatas. Given the volatility the FX and capital markets demonstrated through the close on Friday and the running countdown for the US to surpass the legal limit on its deficit; excitement was guaranteed through for the opening day of the new trading week. Volatility on the dollar-based majors and broader capital markets stepped it up yet again – though direction is still as lacking as ever. Through Monday’s open, the greenback was once again under pressure as risk appetite started off strong. In fact, S&P 500 futures gapped up 1.2 percent on the Asian open from Friday’s close. In contrast, the dollar didn’t produce such a dramatic jump; but it did lose ground through much of the Asian and early European sessions as news that Congressional leaders reached a compromise on the budget deficit that could offer quick relief to tense financial and credit markets. Though, the fact that the Dow Jones FXCM Dollar Index (ticker = USDollar) slipped as a viable debt solution seemed to be in the works should reflect on the skepticism that is still prevalent in the markets. This cynicism that a debt deal would be pushed through or that it would offer the dollar an immediate boost could have weighed the greenback indefinitely had a wave of risk aversion not leveraged the currency’s battered safe haven appeal. As the day wore on, data from China, Australia, Japan, the Euro Zone and the United Kingdom reflected a slowing in factory activity that seems to be reflecting a downshift in global growth. The concern was nagging; but fear that a serious economic slump could be in the works didn’t really set in until the US ISM manufacturing activity survey for July crossed the wires. The 50.9 reading was a substantial miss (below even the lowest economist forecast from Bloomberg) and threatened the primary source of growth the US economy has drawn from since the recovery was established back in 2009. In turn, the S&P 500 Index would turn a remarkable bullish gap on the open into an eventual 2.5 percent retracement through the first half of the day. The ISM indicator, along with the other manufacturing readings from the around the world, are an important reminder that economic activity is cooling. The feeble health of the developed world’s consumer is finally meeting the global shift towards austerity (China, Euro Zone, UK). That leaves the US in a unique position: either join the stimulus withdrawal and suffer the economic slowdown; or pursue financial responsibility and potentially turn a slowdown into a double dip recession. This is another layer of complication to the deficit debate at hand. According to the original timeline; the window is supposed to close by the coming session. That said, it seems that the revised two-stage program that has garnered support from Congressional leaders and already passed the House looks to have a good chance of making it all the way through. Yet, it is still under heavy debate as to whether the planned cuts would be enough to prevent a downgrade by the major credit rating agencies. Such an outcome would surely be dollar negative. 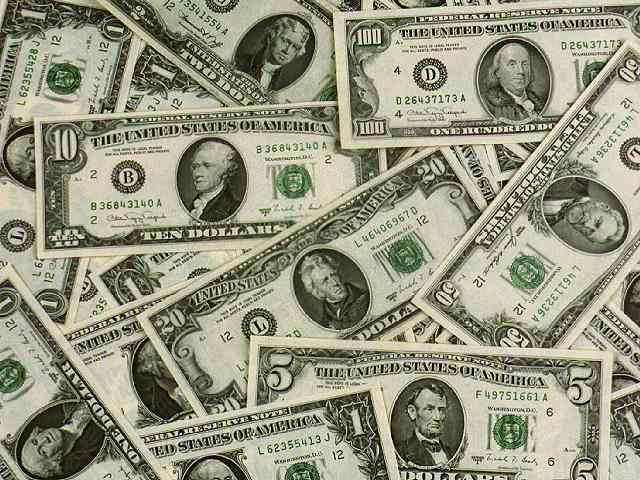 Though if this effort tips the global economy, there could be a redeeming value to the greenback. Fortunately for the euro, headlines about the US deficit debate are still crowding out many of the updates surrounding the Euro Zone’s own troubles. Notable for the day was the fact that the Italian 10 year government bond yield closed at a record high 6.00 percent while the Spanish equivalent advanced to 6.20 percent. Remember, Greece, Ireland and Portugal required bailouts not long after breaching the 7.00 percent level. In the meantime, volatility in risk trends contributed to dramatic losses for European benchmark equity indexes. It will be interesting to see how this combination of funding troubles and the economic slowdown influences the ECB’s decision later this week. Can then keep ignoring it? We are quickly approaching the RBA rate decision; and rate expectations are somewhat mixed. Looking at overnight index swaps; we see that there is a 16 percent probability of a 25 bps rate cut yet the 12 month forecast is pricing in 27 bps of easing. If we recall the last meeting, Governor Stevens leveraged the importance of CPI; and the 2Q figures a two-and-a-half year high 3.6 percent. Is that enough to make a call? It seems much of the world is on the same path of austerity and economic slowdown that the UK pioneered with its self-imposed deficit efforts. Under these circumstances, it isn’t good to be first; because it is exponentially harder to recovery from a slowdown that was ahead of the global curve. We were reminded of this Monday when the UK factory activity reading turned negative for the first time since September 2009. Talk of Japanese intervention is picking up amongst policy officials, economists and traders. 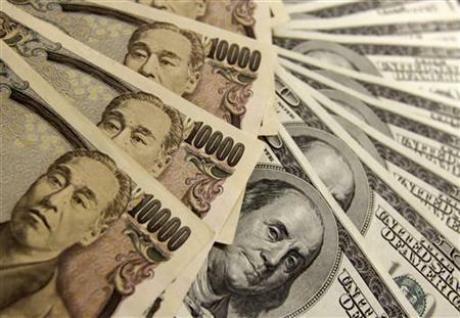 According to Nikkei news group, the central bank is preparing for FX intervention; and an independent move could be quickly followed by a coordinated effort. Should we take these warnings seriously? The short-term impact can certainly generate volatility; but fighting larger trends (like dollar selling) is always a losing game. There are many examples of failed efforts of intervention; but some of the worst results have to fall to the Swiss National Bank which has come under significant scrutiny due to the losses on its reserves fighting the market tide. The futility of this effort seems to be setting in, however, as we had the nation’s Economic Minister warned the high exchange rate is here to stay and it means “extremely tough years” for exporters ahead. Like the US dollar and Treasuries, gold put in for an exceptionally volatile session through Monday. Through that same comparison, though, the metal was just as lacking for direction. To stoke capital flows into the metal once again (or away from it should there be palatable deficit resolution); we need an unmistakable view of the United States’ fiscal position: destined for downgrade or slow return to prudence. 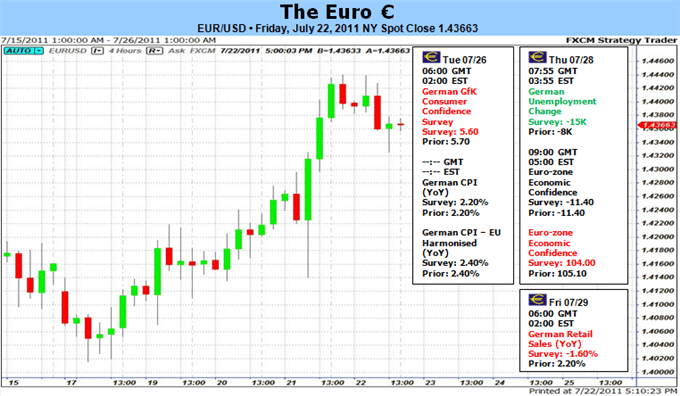 Euro trades Sharply Higher on Greek Deal – What’s Next? The Euro rallied sharply against the US Dollar on a breakthrough agreement on further aid for Greece, closing a great deal of uncertainty surrounding the at-risk country and for the broader euro zone. Officials released details of a far-reaching agreement and offered concrete details on further fiscal aid for periphery nations. A pronounced rally across European bond markets and the euro itself underlined that plans were well-received, but a key week for European economic data could ultimately decide euro price action in the days ahead. Euro zone periphery debt crises are far from over, but the recent agreement ostensibly puts market focus back on economic fundamentals and not on government solvency. Key German Unemployment Change, Consumer Price Index, and Retail Sales figures could subsequently force sharp moves across euro pairs. The euro had strengthened significantly against the US Dollar and other major counterparts as markets predicted the European Central Bank would be among the most aggressive to raise interest rates from record-lows. Indeed, the ECB has since hiked target rates by 0.50 percent, and Overnight Index Swaps have priced in another 33bps through the coming 12 months. The US Federal Reserve, by comparison, has left interest rates at record lows and traders predict a mere 17bps in interest rate increases through the same stretch. Interest rate differentials favor further EURUSD strength, but it will be important to see momentum remain in favor of further euro gains—especially on key data. Expectations call for German and broader European Consumer Price Index inflation remained above the ECB’s official target of 2.0 percent through July, and central bank president Jean Claude Trichet has been resolute in calling for fairly aggressive monetary policy measures on elevated price pressures. It will be important to watch for surprises in CPI results as well as employment figures, as both are likely to figure into future ECB moves. Ultimately, the euro’s direction against key counterparts should depend on traditional fundamentals—not ongoing struggles with periphery nation debt. There remain details that need to be sorted out with the new deal on Greek debt, and individual parliaments must ratify the deal. Yet the long-term nature of the deal suggests troubles with Greece are less relevant to day-to-day price action. Spanish and Italian bond yield surges remain a concern, but stability at or around current levels would decrease fears of further debt stresses. The countdown for the US is getting serious. We have concluded another weak where the US government has failed to come to a compromise on its deficit troubles. Further creating troubles for the greenback, we have seen the European funding market (a source of liquidity costs that plays to the dollar’s safe haven status) come into at least a temporary period of relief with a massive bailout effort by the EU; while risk appetite trends have taken a considerable jump to defer that long-threatened collapse. That said, all of these headwinds will do more to anchor the currency than necessarily generate a meaningful trend over the next week. Heading into the new trading week, the deficit debate carries the greatest potential sway over the dollar. Depending on how this situation evolves; it could have a sweeping effect over the single currency and even the broader financial markets. Yet, it is prudent to work within reasonable probabilities to interpret how this matter will influence the dollar. If our outlook were for two weeks, it would be a virtual guarantee that the greenback is in for significant volatility and even a significant trend. However, our outlook is just for the upcoming week. That being the case, the outlook is far more fluid. Considering the deficit ceiling will be officially breached on August 2nd, there is time for political maneuvering as Democrats and Republicans gain points for sticking to their guns. It is a severely low probability that this situation ends in a technical default and the likelihood of a solution before next weekend is high. How the deficit solution impacts the dollar and capital markets is a function of what is agreed to. If the limit is simply lifted to avoid the pain of a default event, it could offer temporary relief to capital markets and the greenback in equal parts. That said, the follow through would likely be limited as ratings agencies have warned the reasoning for a downgrade runs beyond just the quick fix and to the lack of long-term fiscal plan. Alternatively, should there be proposal that targets significant deficit reduction over a reasonable timeframe through a revenue (taxes) focus, an expenditure (spending) focus or a mix of both; it could be seen as an effort to pump the break on the economy and withdraw the very stimulus that has driven confidence and capital markets since the Great Recession – which would weigh on risk appetite which adds a safe haven appeal to the dollar as it garners attention for improved outlook for stability. If we end the week without a clear solution; expect volatility to grow increasingly unstable as rumors and headlines spur fear and speculation. Another major driver for the dollar that fits within the ‘theme’ category is the blowback the greenback bears from the perception of the Euro Zone’s credit health. This past week, officials announced sweeping policy agendas to smother the sense of crisis contagion in the sovereign and private lending markets. There were major efforts adopted; but there are also significant shortfalls. Ultimately it comes down to market sentiment. If the steps taken don’t boost confidence or if risk aversion is an engrained and global driver, the euro will continue its slide and thereby boost its most liquid counterpart: the dollar. The Euro has done well through the first half of 2011, rallying to fresh multi-year highs against the US Dollar and strengthening against almost all G10 counterparts. There remain clear fundamental risks for the single currency in the second half of 2011, and we look for the Euro to fall. The major concern is whether several at-risk countries can remain stable despite clear debt crises. The European Central Bank’s next actions may prove pivotal—especially as the Euro has strengthened on robust interest rate forecasts and is at risk of losses on any significant downgrades. The number of risks to the Euro arguably outweighs those to the US Dollar, leaving us watching for further EURUSD declines. We look for the EUR/USD to end 2011 below 1.25. European Sovereign Debt Crisis – Where Did We Start and Where Do We Stand? The euro zone financial debt crisis continues to threaten EUR stability and remains a key risk through the second half of the year. At the forefront of traders’ minds is Greece—can the southern European state withstand market pressures and remain solvent? Despite a €110 billion three year bailout agreement with the European Union and International Monetary Fund, Greece has yet to see the light at the end of the tunnel. The difficulty lies in the structure of the bailout deal. When the International Monetary Fund agreed to loans, it required that the Greek government return to the debt markets for its borrowing needs as soon as 2012. At the time, this request seemed reasonable. With backstops from the EU and IMF, international investors would be more likely to buy Greek debt. Yet the continuing sell-off in Greek bonds underline that few are willing to hold existing Greek debt—much less buy any newly-issued debt. The cost to insure against a Greek debt default has recently hit record-highs as seen through Credit Default Swaps, and current sovereign debt ratings imply a 50 percent chance of a Greek default within the coming five years. A further bailout seems increasingly necessary and likely, but uncertainty over Greece’s ability to repay debts could likewise spread to other at-risk government treasuries. The key risk with periphery debt crises has and will always be contagion—will Greece’s troubles affect other periphery nations and even spill into the core through higher bond yields? In absolute terms, bailouts for Greece, Portugal, and Ireland have cost relatively little. 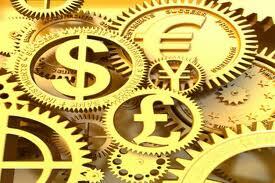 Together, the three economies comprise approximately 5 percent of total euro zone Gross Domestic Product. If EMU titans Spain (8.9 percent of GDP) and Italy (12.8 percent of GDP) fall into trouble, however, European coffers may not be able to cope with the required fiscal aid. The spread between benchmark Spanish and German government bond yields has recently widened to its largest since the inception of the euro—implying that Spain’s relative debt risk is worsening. And though a 10-year Spanish government bond yield of approximately 5.5 percent is low by historical standards, the widening gulf could further exacerbate government deficits. Much the same can be said for Italy. A key question is whether bond troubles in periphery nations can spread to the core, truly threatening the stability of the single currency zone. Of course, there have been plenty of reasons that the euro has strengthened despite these readily apparent sovereign debt crises. 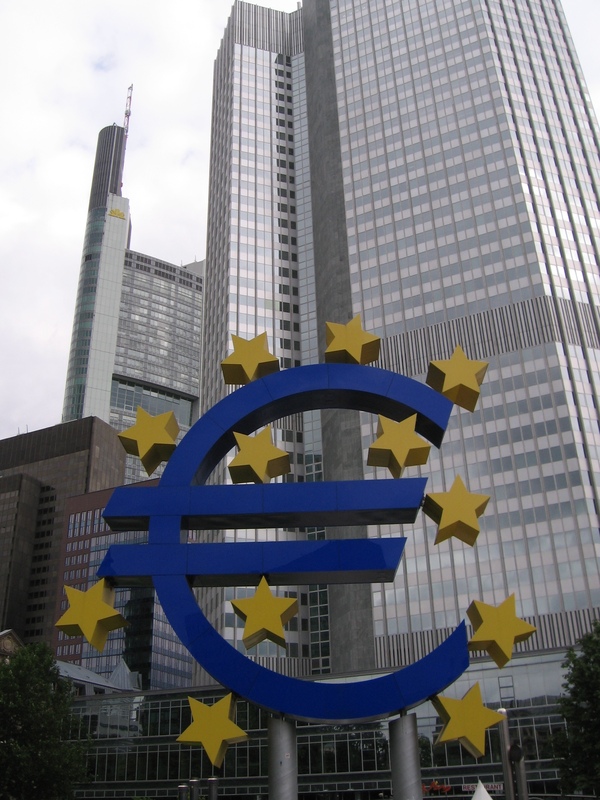 European Central Bank – Can They Continue to Hike Rates? Expectations that the European Central Bank will be among the most aggressive central banks in raising interest rates has driven speculative interest in the euro, pushing the price up in the first half of this year. A key question will be whether the ECB will follow through on lofty forecasts and continue to raise interest rates, further supporting the currency. Robust interest rate forecasts have driven the euro higher against the US Dollar and Japanese Yen—currencies that hold the dubious honor of the two lowest-yielding among the industrialized world. Overnight Index Swaps, a tool used by major financial institutions to bet on and hedge against interest rate moves, show that traders expect the ECB could raise rates three times through the second half of 2012 in order to head off inflation in the Euro Zone. This compares to forecasts that the US Federal Reserve will leave interest rates roughly unchanged through the same stretch. The Bank of Japan is similarly forecast to leave monetary policy effectively unchanged and to keep Japanese short-term interest rates near zero. Yet in markets nothing is guaranteed, and indeed we might argue that the euro has seen about all of the yield-linked support it will enjoy. That is to say, it would likely take a material improvement in ECB forecasts (and subsequent rate hikes) to continue driving EUR gains. Can the European Central Bank continue to set hawkish monetary policy despite clear economic and fiscal struggles in periphery nations? ECB President Jean Claude Trichet has continued to emphasize that the central bank sets policy for the whole of the monetary union and cannot ignore mounting inflationary pressures. Yet with fiscal austerity packages guaranteed across the euro zone, demand-driven inflation could quickly abate and lessen the need for tightened policy. All else remaining equal, the euro would almost certainly fall on a sharp downgrade in ECB interest rate expectations. Of course, nothing ever remains equal in financial markets and there are a number of mitigating factors that could strongly affect the single currency. The euro remains a currency closely linked to equities markets, with the EUR/USD tending to rise with stocks, and tending to fall when stocks fall. Further market turmoil could almost certainly derail the recent EUR strength. The correlation between the Euro/US Dollar currency pair and the US Dow Jones Industrial Average has recently been trading near record levels; Dow variation has theoretically explained up to 45 percent of Euro movements. Part of this relationship is the US Dollar’s appeal as the currency of many popular “safe” investments—most notably US Treasury Bonds. On the other side of it, the euro is arguably among the most at-risk assets in financial market upheaval as debt market difficulties could further exacerbate the current European sovereign debt crises. 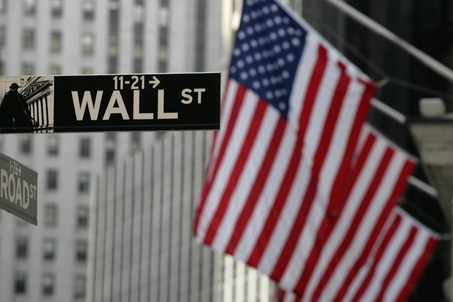 The Dow Jones Industrial Average limped into the second half of the year, declining for six consecutive trading weeks and posting its worst performance in nearly a decade. It should come as relatively little surprise that especially sharp equities sell-offs forced EURUSD weakness, and indeed a continuation could see the US Dollar further regain ground against its high-flying European counterpart. 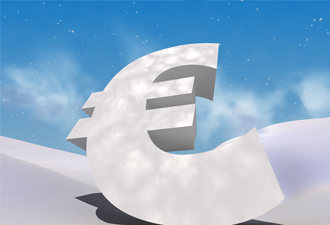 The Euro remains well within a decade-long uptrend against the US Dollar, but the medium-term outlook is fraught with risk as doubts remain about euro zone economic and political stability. Of course, the US Dollar is not without its own issues and actual EURUSD price action will depend on a great number of different dynamics. Whether or not the euro remains in its broader uptrend will greatly depend on developments in sovereign debt crises and market expectations regarding the European Central Bank. It seems that risks generally favor Euro losses, and indeed our forecast remains bearish into the end of 2011. Dollar Australia menghentikan penurunan 2 hari berturut-turut pada hari Jumat setelah Kanselir Jerman Angela Merkel sepakat untuk berkompromi dan bekerja sama dengan European Central Bank dalam mengupayakan paket bailout baru untuk Yunani, yang memulihkan permintaan untuk aset beresiko. Aussie juga berhasil mencatat kenaikan mingguan terbesar dalam satu bulan terhadap mata uang AS pasca produktivitas industri China dilaporkan meningkat. Produktivitas sektor industri China meningkat sebesar 13,3% pada bulan lalu, yang melampaui perkiraan para ekonom, disertai penjualan ritel yang naik 16,9%, menurut laporan biro statistik. Indeks harga konsumen juga mencatat kenaikan 5,5% persen, yang sesuai ekspektasi pasar. Sementara perbankan telah diperintahkan untuk menyisihkan lebih banyak uang sebagai cadangan. Namun penguatan mata uang negara Pasifik Selatan yang ber-yield lebih tinggi ini nampaknya masih akan terbatas seiring data AS yang lebih lemah dari perkiraan mendorong spekulasi bahwa pemulihan pada ekonomi terbesar di dunia itu tengah goyah. Saat ini AUD/USD diperdagangkan pada kisaran $1.0615 atau sekitar 0,5% lebih tinggi dibandingkan harga pembukaan hari Jumat. The Australian dollar stopped down 2 days in a row on Friday after German Chancellor Angela Merkel agreed to compromise and cooperate with the European Central Bank in seeking a new bailout package for Greece, which restore the demand for risky assets. Aussie also has recorded the biggest weekly gain in a month against the U.S. currency after China was reported to increase industrial productivity. Productivity of China’s industrial sector increased by 13.3% in the last month, which exceeded expectations of economists, with retail sales rising 16.9%, according to the statistics bureau report. The consumer price index also recorded an increase of 5.5% percent, which according to market expectations. While banks have been instructed to set aside more money as reserves. However, strengthening the currency of South Pacific countries that had higher yield this still seems to be limited as U.S. data weaker than expected prompted speculation that the recovery of the world’s largest economy was being shaken. Currently AUD / USD traded at $ 1.0615, or about 0.5% higher than the opening price on Friday. Euro menguat terhadap Dollar AS pada hari Senin, pulih dari penurunan pada awal sesi menyusul aksi short-covering para pedagang memberikan sedikit ruang bagi Euro. Namun perseteruan di antara para pembuat kebijakan masih membatasi gain euro. Para petinggi di Eropa nampaknya masih belum mencapai kesepakatan mengenai rencana keterlibatan investor swasta dalam restrukturisasi hutang Yunani, yang terus diserukan oleh Jerman, meskipun ECB telah memperingatkan akan potensi gejolak pasar. Sementara investor mulai memangkas peluang kenaikan kembali suku bunga dalam beberapa bulan ke depan, bahkan setelah presiden ECB Jean-Claude Trichet sensinyalkan kemungkinan adanya kenaikan suku bunga pada bulan Juli, mengingat ECB masih mempertahankan proyeksi inflasi 2012 tidak berubah. Teppei Ino, analis mata uang pada Bank of Tokyo-Mitsubishi UFJ di Tokyo, memperkirakan Euro dapat terjatuh kembali ke posisi rendah bulan Mei di $1.3968 seiring krisis hutang zona Euro dan berkurangnya prospek kenaikan suku bunga menjadi fokus pasar. kemudian $1.6000 yang merupakan MA 200. CPI tahunan diperkirakan tetap pada 4,5% pada bulan Mei. Hasil rilis di atas level tersebut mungkin akan memberikan dorongan bagi Cable, meskipun menurut analis tidak akan bertahan lama kecuali para investor yakin jika BoE akan merespon dengan menaikkan suku bunga. “Kenaikan inflasi akan mendorong Sterling naik, tapi mungkin hanya akan berumur pendek,” kata Lee McDarby, kepala dealing pada Investec. “Pasar perlu melihat kemajuan pada data sebelum ada pembicaraan mengenai kenaikan tingkat suku bunga.” Sentimen Sterling juga berpotensi terpukul pekan ini seiring data tenaga kerja hari Rabu dan penjualan ritel di hari Kamis dapat menambah kecemasan goyahnya ekonomi Inggris. Franc Swiss menguat terhadap hampir semua mata uang utama setelah belum adanya kesepakatan mengenai bantuan finansial untuk Yunani memicu investor beralih ke aset paling aman di Eropa, dengan yield obligasi Portugal dan Irlandia yang naik menuju rekor tinggi. Sementara SNB diperkirakan akan memutuskan menahan tingkat suku bunga di 0.25% pada pertemuan tanggal 16 Juni mendatang serta tidak mensinyalkan melakukan intervensi untuk membatasi penguatan franc. “Investor melirik Franc Swiss lebih karena status safe haven-nya,” kata Elizabeth Gregory, analis pasar pada Swissquote Bank SA di Jenewa. “Ketidakpastian masih terus menyelimuti zona Euro, sementara prospek pertumbuhan Swiss nampak cerah. Maka tren penguatan Franc Swiss akan berlanjut.” Pejabat di Eropa menemui jalan buntu mengenai keterlibatan investor swasta dalam restrukturisasi hutang Yunani. the prospect of higher interest rates become the focus of the market. then $ 1.6000 which is the MA 200. The annual CPI is expected to remain at 4.5% in May. Results release above that level would probably give a boost for Cable, although according to analysts will not last long unless the investors believe that if the BoE will respond by raising interest rates. “The increase in inflation would push Sterling rose, but may only be short-lived,” said Lee McDarby, head of dealing at Investec. “The market needs to see progress on the data before there is talk about rising interest rates.” Sterling sentiment also has the potential to hit this week as the employment data on Wednesday and retail sales on Thursday to increase the anxiety fragile UK economy. Swiss franc strengthened against most major currencies after the lack of agreement on financial aid to Greece triggered investors to switch to the safest assets in Europe, with Portugal and Ireland bond yield which rose to a record high. While the SNB is expected to decide to hold interest rates at 0.25% at the next meeting June 16 and not signaling to intervene to limit the strengthening of franc. “Investors Swiss Franc glanced over because its safe haven status,” says Elizabeth Gregory, analyst market in Swissquote Bank SA in Geneva. “Uncertainty continues surrounding the Euro zone, while Switzerland‘s growth prospects seem bright. And the Swiss franc strengthened the trend will continue. “Officials at the European impasse regarding the involvement of private investors in the debt restructuring Greece.